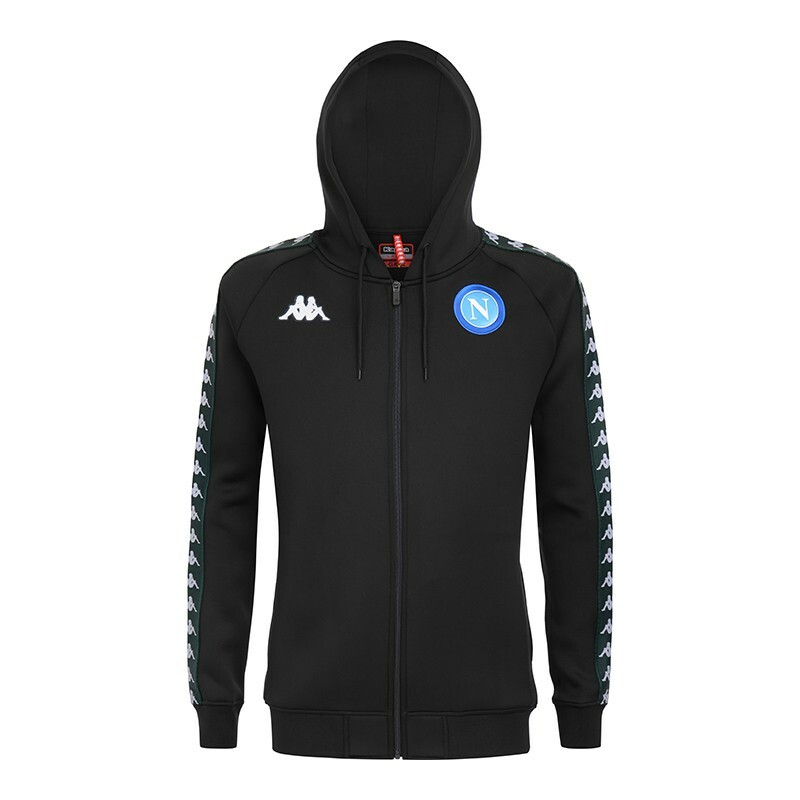 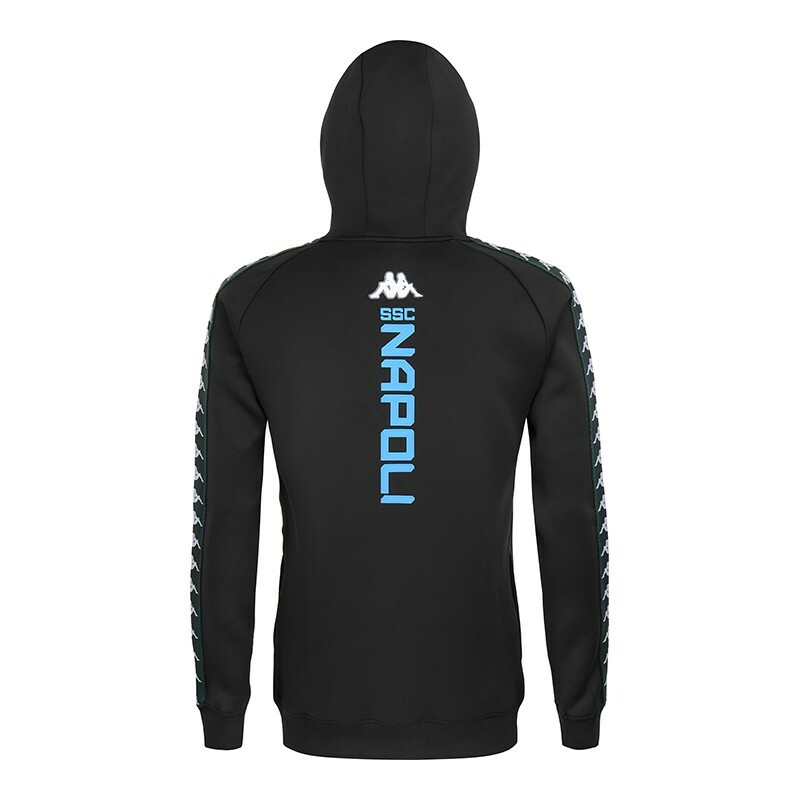 Treat yourself to the Napoli SSC hoodie, worn by the players while away. 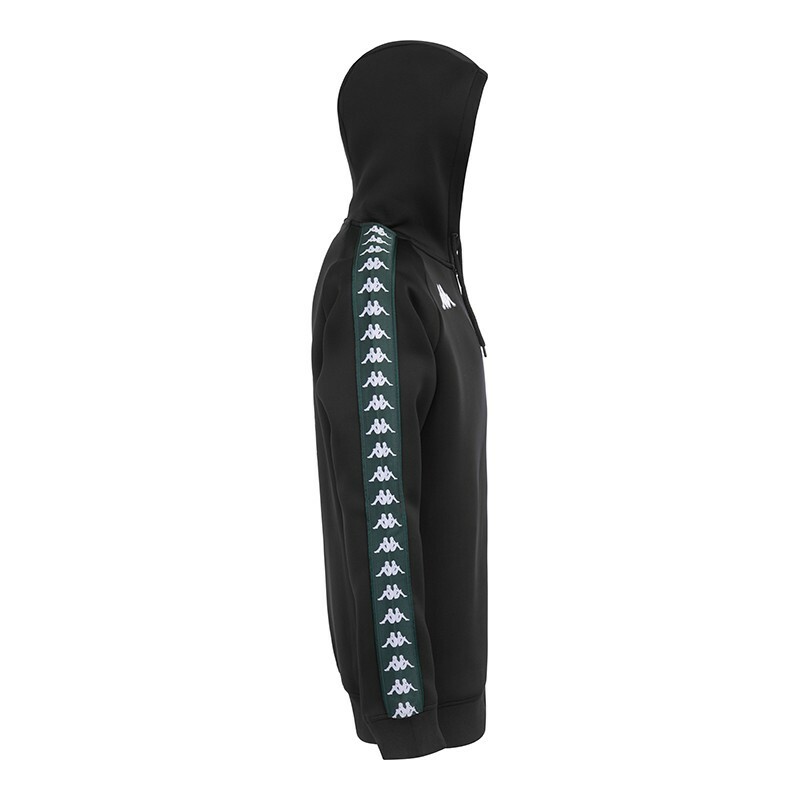 The Kappa banda completes its casual look. 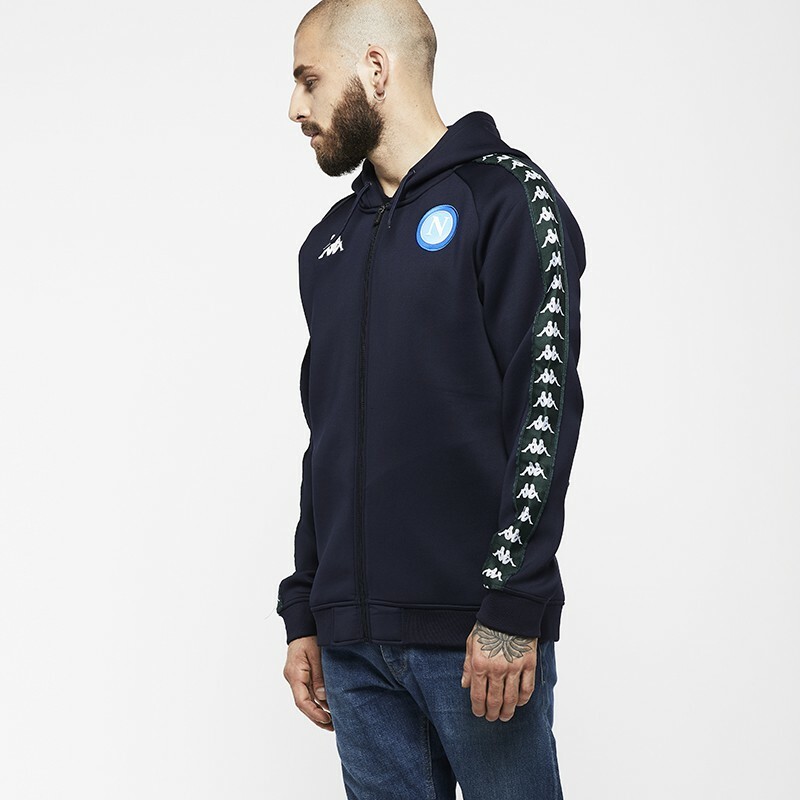 Tracksuit jacket with full zip. 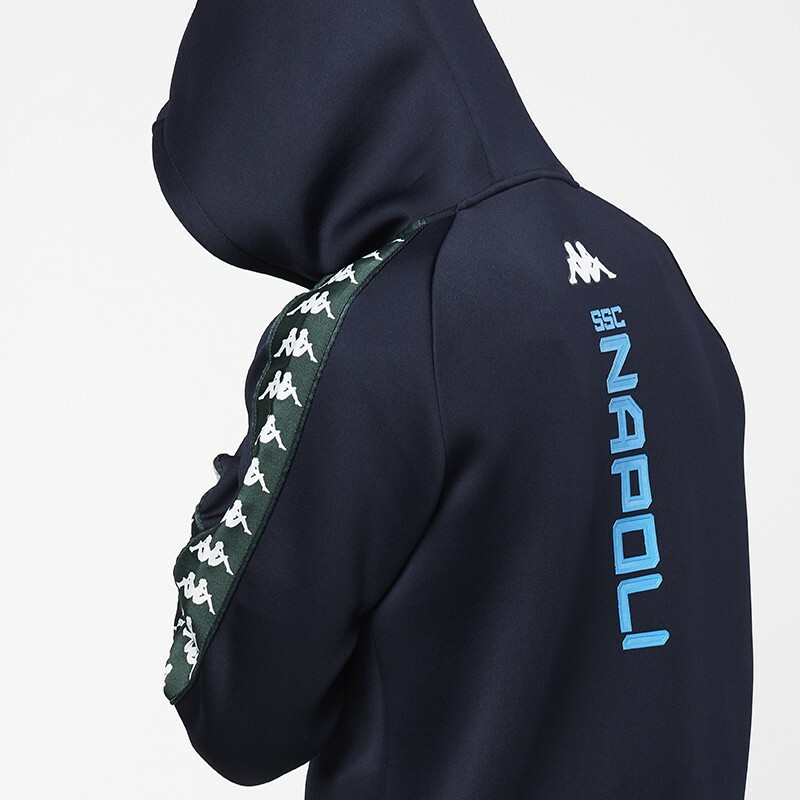 Banda Kappa integrated on the sides. 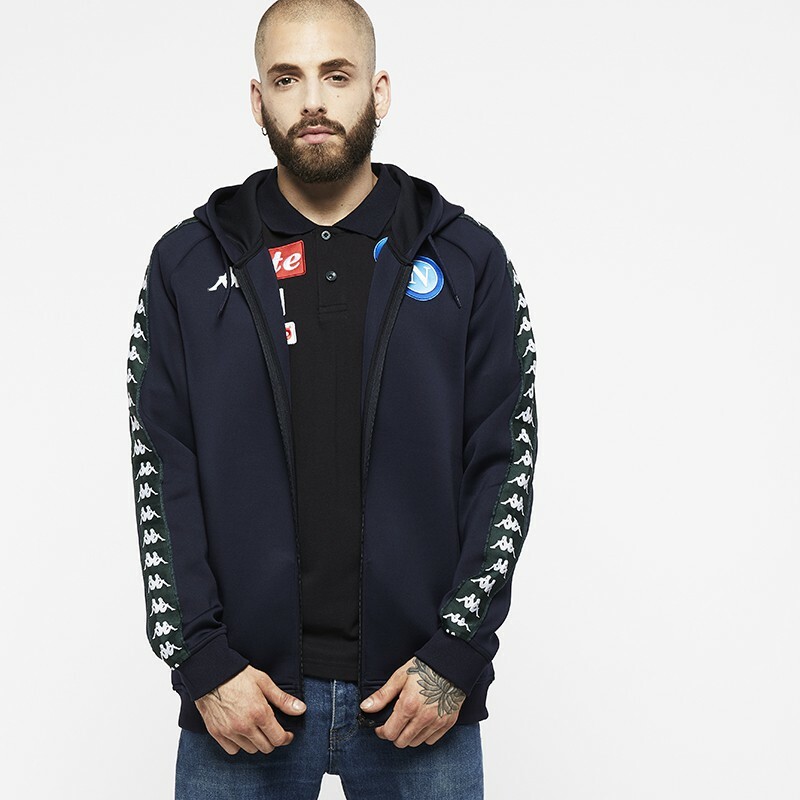 Kappa and club logos integrated on the jacket.